Every loan officer’s websites or landing page number one goal is to show up in the first page of Google’s search results for the services he/she provides in their area. Blogging is one of the best methods used to rank high in Google search results, its also a free way, but before we go further in explaining how to use a blog to your mortgage marketing advantage, lets get to know blogging a little more. What is Blogging for Loan Officers? A mortgage blog is a type of website where the content is presented in a reverse chronological order (newer content appear first). Blog content are often referred to as entries or “blog posts”. 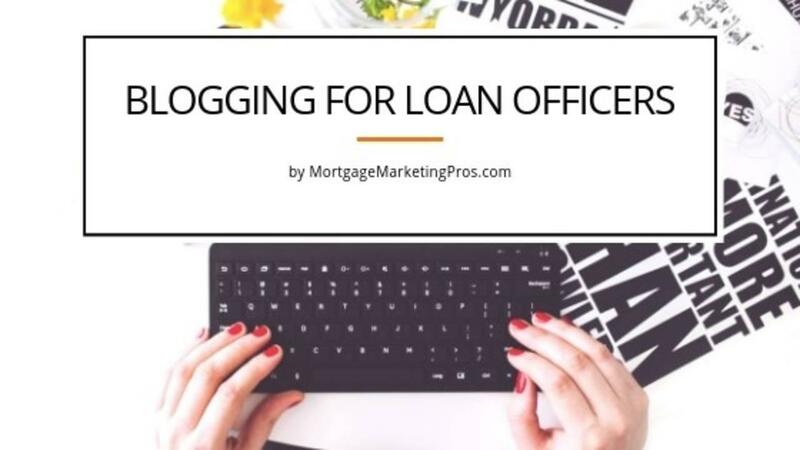 Blogs are typically run by an individual (loan officer) or a small group of people (mortgage teams, or companies) to present information in a conversational style. However now there are tons of corporate blogs that produce tons of informational and thought-leadership style content.